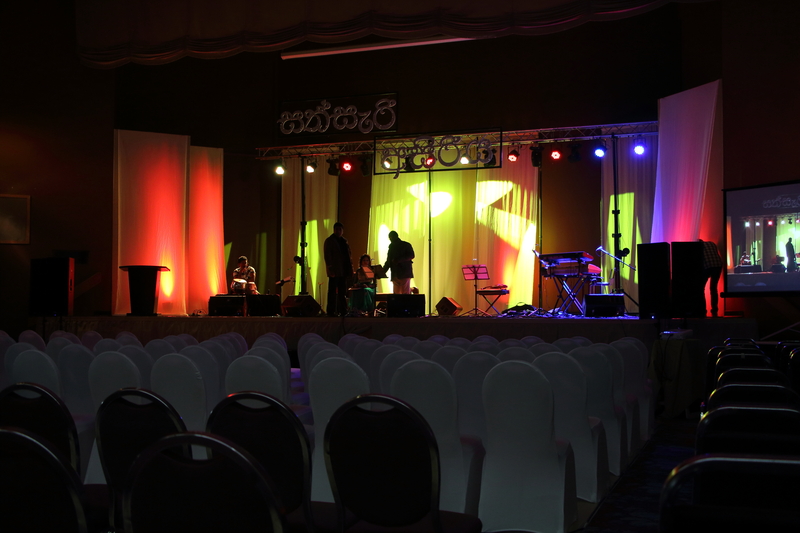 We had the great pleasure to work with the Sri Lankan Buddhist Society over the weekend at The Polish Cultural Centre to help produce their most recent event. In regards to audio we provided four QSC KW153 Speakers , four QSC KW181 sub woofers, six QSC HPR122i monitors and two QSC HPR122i fill speakers. We have been working with this community on a number of events over the past three or four years and with each event I get another glimpse into their relationships to one another. 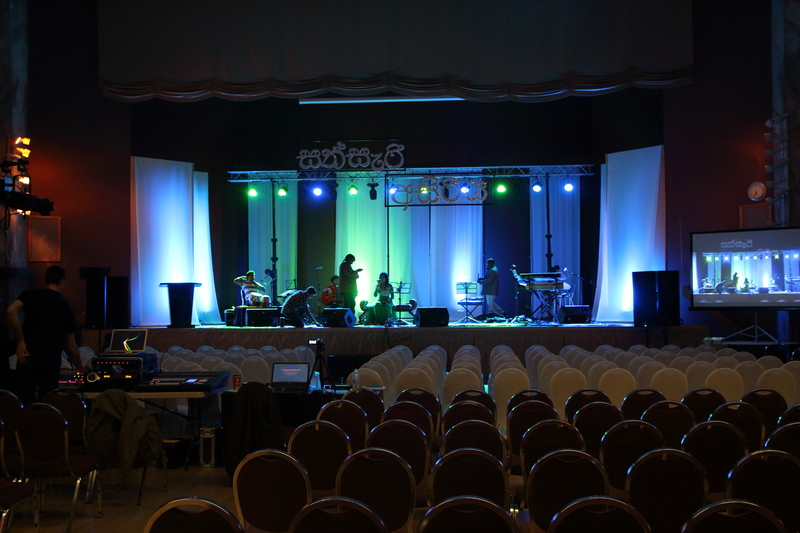 They truly have a beautiful community and we certainly appreciated the society generously feeding us over the course of the set up, sound check and intermission. 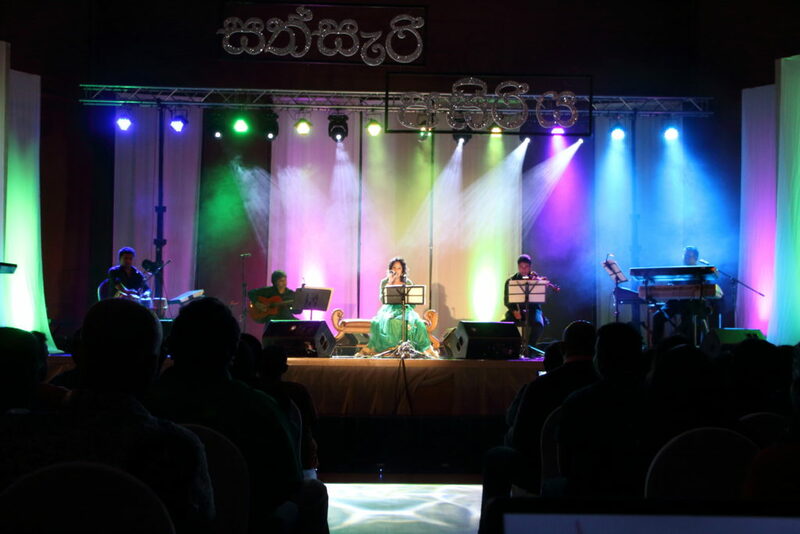 The musical performance was extremely relaxing and the language when spoken seemed to have a calming affect. 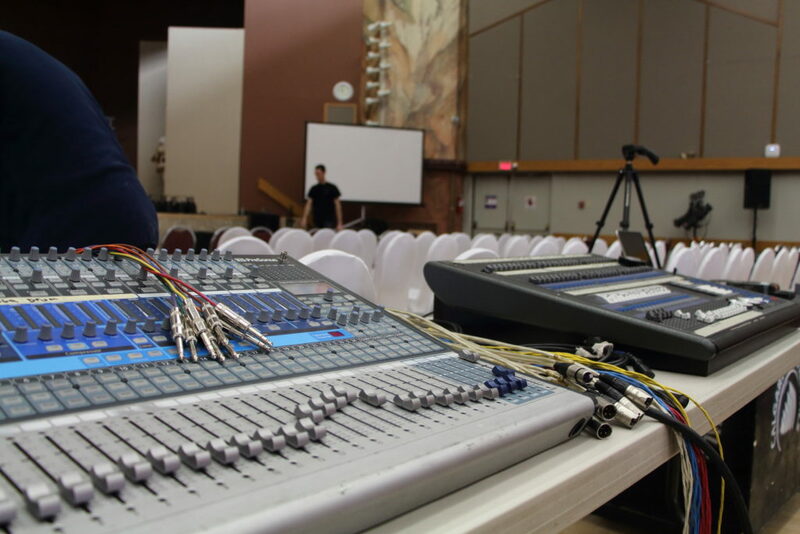 By utilizing Presonus’ Smaart tool along with a dedicated Real Time Analyzer microphone we were able to fine tune the sound system including analyzing the delay time necessary between the front of house speakers and the room fills to correct any potential phase issues. The result was a smooth sound at a comfortable listening volume of just under 90 dB.